Trash gets into our water ways and causes lots of problems for the environment. One way we can help is simply by making sure our garbage makes it into bins and we’re not just littering all willy nilly. But there will still likely be stragglers. 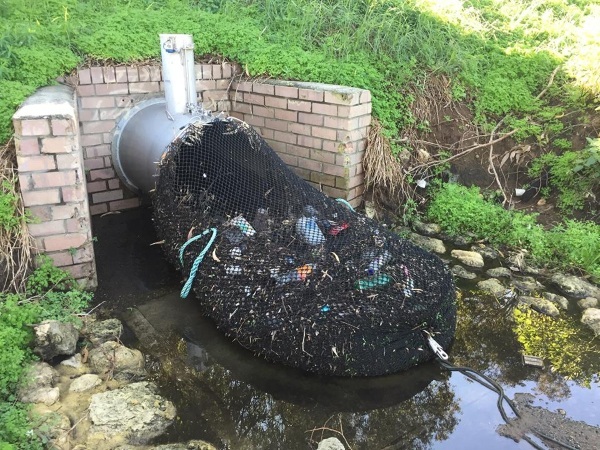 One Australian city is using a simple solution to catch this garbage: Nets. The city of Kwinana simply placed large nets over their drainage pipes. These nets captured garbage and other debris as they came out of the pipes, before they can make it into larger water ways. It is basically a simple filtration system. These are not sophisticated nets. They are only good for capturing large debris and water, junk free, comes out of the other side. The nets, though simple, cost about $10,000 each but over all will help to save money when it comes to waste disposal.